Come dance with us at the Pongo Lounge and Duck Pond Takeover of the Public Works Loft! Ok, they don’t have to be pants… Whether you’re in burner gear or a onesie, stilettos or sweatpants, wear whatever feels good! Just be ready to dance. We have no patience for creeps. If you’re having a problem with someone, please come up to the DJ booth and a camp member from Duck Pond or Pongo will help you out. Our party is a place to have fun the way you want! Consent is key, we will not tolerate anything less. 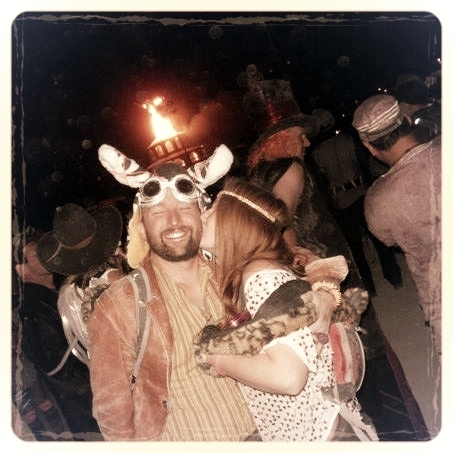 The Duck Pond is the best damn dive bar on the playa, and proud to host everyone's favorite opening night Burning Man party THE EARLY BIRD SPECIAL. Our camp has been Burning since 2006 and we pride ourselves on getting fellow Burners cold booze, morning noon or night. We're honored and humbled to host amazing talent every year, including everyone from DJ Dan, Bootie SF and Bootie L.A., Cosmic Selector and the TekFreaks, to Elite Force, Skrillex and Diplo. The Pongo Lounge is a theme camp at Burning Man, located on the 9 o'clock sector, and has been burning brightly for the last 7 years. We’re recognized for our yellow and red shaded lounge, spinning human gyroscope, and signature Tuesday & Thursday afternoon parties. Pongo prides itself on bringing playground fun and talented djs to the playa as well as San Francisco. Thank you to everyone who has come to our party series so far this year, it’s time to get your dancing shoes out again because you know we’ll be going all night!